When considering a window replacement project for your Chicago home, it’s never an easy decision. How long will it take? What windows should I go with? How much will it cost? These are all questions that need consideration. 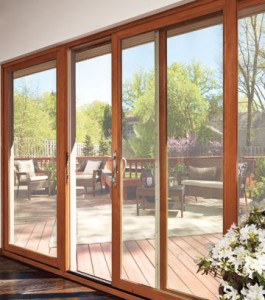 Beechworth Windows – Many of Beechworth brand windows feature a durable fiberglass frame and removable wood grills along with real pine interiors. The company offers many energy efficient window options along with tons of stylish design options. Their rich 125-year history makes Beechworth windows one of the most trusted brands you’ll find. Marvin Windows – Marvin windows is one of the top brands in the window and door industry. The company’s windows are made-to-order so you are sure to receive a custom fit every time. And their Integrity and Infinity product lines offer some of the most reliable and long-lasting windows on the market today. Pella Windows – Whether you want wood, vinyl or fiberglass windows, Pella offers products to fit any project and any budget. They pride themselves on their ability to create custom windows fit for every homeowner and any type home. They also offer many specialty window options. Andersen Windows – Andersen brand windows are built to compliment any home renovation project. From the quality 100 Series to their premium E-Series, each of Andersen’s product lines offer many color and material options. From composite to aluminum to real wood, the possibilities are endless when working with Andersen brand windows. Climate Solutions Windows – Based here in Chicago, Climate Solutions brand windows is a trusted window brand located right here in our own backyard. Their sleek and stunning designs fit perfectly with the urban feel of Chicago’s bustling suburbs. And their Tilt & Turn feature offers unmatched performance you’ll be pressed to find anywhere else. Let the team at Custom Installation ensure you get the best service when it comes to your Chicago window replacement. Whether you choose Beechworth Windows or one of the other quality brands we work with, you are sure to receive the expert care you want in your window specialist. From start to finish, Custom Installations is guaranteed to be the best professional for your window job! Contact us today to learn more about the affordable, quality window options we offer.